The Podcast Digest is creating Podcasts that Rock! My name is Dan Lizette and host a little show called "The Podcast Digest"! Since September 2014, I've released a show weekly featuring podcast recommendations and interviews with hosts of podcasts, both big and small, to take you behind the scenes of the best shows around! I absolutely love doing the show and hopefully you've enjoyed listening! I want to take the show to the next level, but I think I'm going to need help to do it! See.. here's the thing. Between my day job, my 2nd job and my family time is very tough to find the time to solicit guests for interviews, to record, to edit, to publish and promote the show. In fact, there are some ideas I've had that I'd like to improve things with (see the Rewards! ), but I can't seem to be able to get there. I am one guy, famously working from my basement, and want to be able to do even more! In a year a half, I've invested in new audio equipment, software and hosting to make sure the show is a good as can be! But to do that I need to cut back on the 'other things' (well, maybe not the family time!) to be able to invest it back into the show! I've tried merchandise and t-shirt campaigns, but now is time to appeal to you, the listeners to see if you will me out with a little tiny push into the next level! As you can see from the above, I've been very fortunate to bring interviews with some of the biggest names in Podcasts (99% PI, Lore, ATP and so many more!) as well as some 'up and coming' indy podcasters whom I've become huge fans of like Dark Angels and Pretty Freaks, Couple Things Podcast and 7 Days a Geek! And tons more in between! I've brought you new friends, great content and hours of entertainment! But I've only scratched the surface of the huge catalog of great stuff available out there! And I want to be able to keep bringing it to you! 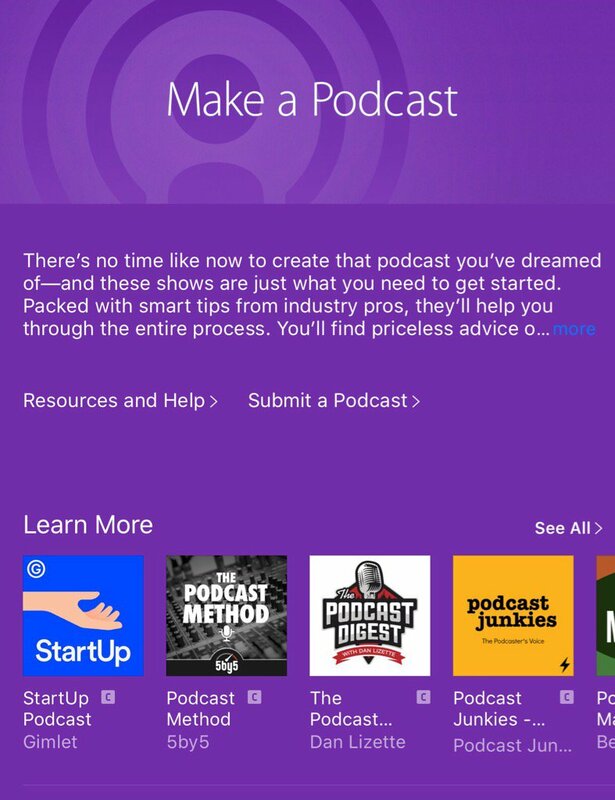 The Podcast Digest has been featured in the Itunes Podcast App in a featured collection, appeared on several top charts and has become one of the premiere homes for great interviews and stories from great hosts and producers! So if you'd like to be a part of the show's future growth, I'd be forever indebted to you! So check out the cool rewards and see if you might share a little love with this 'one man show'! I deeply appreciate all of the support! A shoutout for you during the 'credits' on an upcoming episode of TPD! Wow! You're awesome! I will give you a thank you on air in the credits, as well as including a link to your work (blog, podcast, twitter) in the show notes on a upcoming episode. (in addition to lower level awards). Tweet Power! In addition to all previous rewards, I will tweet about your support and your work (blog, podcast, twitter) no less than 3 times so that the TPD Twitter audience knows all about how awesome you are! Promo Appearance on TPD! 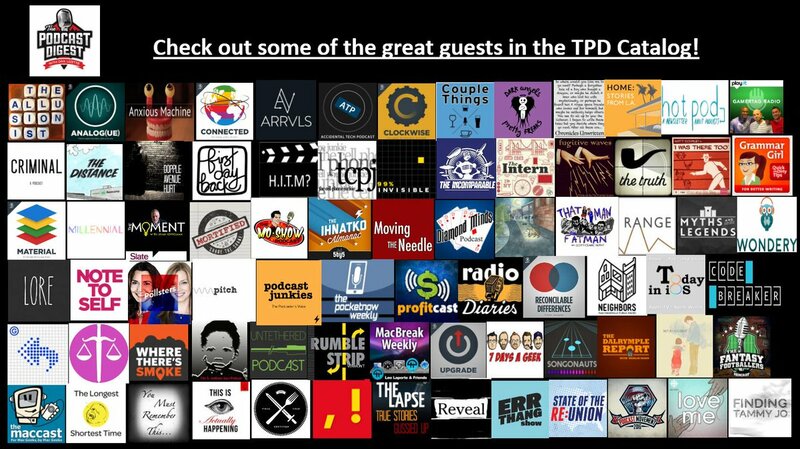 You are a TPD Superfan! At this level, at a mutually agreed scheduled time (within 90 days of the pledge), I will have you appear on an upcoming episode to talk about your work (blog, podcast, twitter) at the BEGINNING of the show! Interview will be approximately 10-15 minutes. Included are all previous rewards as well! Monthly costs are somewhere around this number, so that would be great!